I hope you all enjoyed a peaceful holiday season. With the new year in full-swing, it’s time to get back to work. Here at SketchCop® Solutions we’re busy building upon what we started in 2018 with the launch of the SketchCop® Academy. The idea to launch the academy was born through the many social media inquiries and e-mails I’ve received over the years. Through them, I learned there was great deal of interest about how forensic artists work. This includes art students who want to use their skills to give back to the community, practicing forensic artists and police agencies seeking a software-driven solution for creating facial composites, paired with relevant training. It seemed like everyone was looking for a cost-conscious, convenient way to train as a forensic artist. To kick things off, we currently offer three courses – How to Become a Forensic Artist, Forensic Art in Criminal Investigations and Why & When to Create a Facial Composite. Many have already taken our FREE course – How to Become A Forensic Artist, while a few have gone on to complete one, or both of the other courses. I know that many of you are itching for the drawing part to get started. The courses currently posted are designed to build a foundation and understanding of how forensic art works. They should be taken in the order listed above. We will be drawing soon. In the meantime, we’ve been busy in the background. Since the last-quarter of 2018 we have partnered with targeted companies to access low-cost, reliable digital tools and software for you to purchase and use as we teach you how to go digital. As a result of our efforts, SketchCop® Solutions is an official reseller for XP Pen Technologies and Beijing Veikk E-Commerce Co.,Ltd. Both manufacture pen tablets and graphic displays. 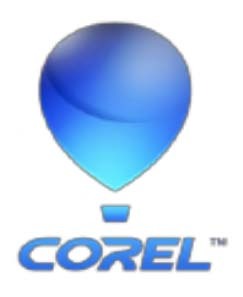 SketchCop® Solutions also offers Corel® software titles such as: Corel Painter and Painter Essentials. Waiting for Frontalis® Facial Composite System re-release will allow us to gather everything under the SketchCop® umbrella to offer cohesive training that builds off of each product. For now, we will continue to offer forensic art training that builds upon the foundation we have already established, providing you with a greater understanding about how the ‘non-art’ portion of being a forensic artist, some of which is detailed in my book – Creating Digital Faces for Law Enforcement. We recommend you take the above courses and continue in the order we post them. Or, if you’re merely curious about the field and find some courses more to your liking than others, then please, feel free to enroll. We appreciate your continued support. One of our goals this year is to increase our interaction with ALL of you. I also encourage you to communicated back. I can be reached via e-mail at: Contact@SketchCop.com. Or, you can connect with me on LinkedIn under my name: Michael W. Streed and on Facebook, Instagram and Twitter @TheSketchCop. In the meantime, keep sketching and don’t forget to reach out. I would enjoy hearing from ALL of you!